Robert D. Bohm has spent his legal career safeguarding the rights of individuals and their families, and advocating for the public good by promoting personal and corporate accountability. Robert currently practices in both Washington State and Arizona. He has his own firm, Robert D. Bohm PLLC for his Washington practice, and is of Counsel to and a trial lawyer at Jones|Raczkowski a Phoenix, Arizona law firm. Robert represents injured people and their families in cases involving catastrophic personal injury or wrongful death. Since 1978, Robert has represented thousands of individuals injured through the negligence of others. On behalf of his clients he has collected millions of dollars from large insurance companies, major corporations, and numerous others who have caused harm to his clients. He handles cases throughout the States of Washington and Arizona involving catastrophic personal injury or wrongful death. He handles cases where his clients have been injured as a result of the negligence or carelessness of property owners; retail stores and shopping centers; resort and hotel injuries; falls; sexual assault and failure to provide adequate security; nursing-home neglect and adult abuse; and vehicle accidents, especially those involving wheelchair transportation and big rig trucks. Robert was born in Sterling, Illinois, and grew up in the farm and industrial towns of Tampico and Sterling, Illinois. He graduated from Northern Illinois University (B.S.) in 1969. In 1970 he moved to Arizona, and graduated from the University of Arizona (J.D.) in 1977. Robert has served as President of the Arizona Association for Justice (formerly known as Arizona Trial Lawyers Association), and has been the Association’s chair of its Continuing Legal Education and Legislative Committees, as well as chairing their Advanced Trial Advocacy Conference. With the American Association for Justice, the national trial lawyer’s organization, he serves as a member of the President’s Committee on the Federal Judiciary, the Law Schools Committee, the Resort Torts Litigation Group, and the Spinal Cord Injury Litigation Group, where he is co-chair. In Washington, Robert is involved with the Spinal Cord Injury Association of Washington, helping to liaise with the Christopher & Dana Reeve Foundation. Admitted to practice in all Arizona state courts, all Washington state courts, the United States District Court for Arizona, the 9th Circuit of the United States Court of Appeals, and before the United States Supreme Court, he is an active trial lawyer. Certified by the State Bar of Arizona as a Specialist in Injury and Wrongful Death Litigation, a distinction held by only 1.5 % of the lawyers in Arizona. His peers have given him the highest rating of “av” from the Martindale-Hubbell Law Directory. He is a multiple-year selection as an Arizona “Super Lawyer” by Southwest Super Lawyers Magazine. This annual publication identifies the top 5% of attorneys in each state, as chosen by their peers and through independent research. He is also a multiple-year selection as one of the Arizona’s Top Attorneys by AZ Magazine. He was selected as an initial member of Arizona’s Finest Lawyers, an invitation only organization whose members are chosen based upon their legal skills and having established reputations for integrity and professional conduct. He is a current board member and the Past-President of the Arizona Spinal Cord Injury Association, and is a Past-President of the Red Means Stop Coalition. He was appointed by the Arizona Governor to serve as a member of the Governor’s Advisory Council on Spinal and Head Injuries, where he last served as Vice-Chair of the Council. In 2012 he was chosen as a Distinguished Alumni by the Sterling Illinois Schools Foundation, an honor that has been extended to approximately 50 graduates of Sterling Township High School during their 125-year history. 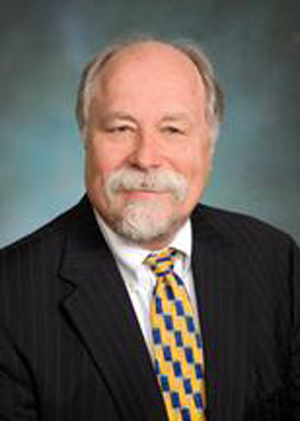 For over 36 years, Robert has limited his practice to the representation of people injured through the negligence of others, including while on the property of others, in motor vehicle collisions and wrecks caused by drunk drivers, while in a wheelchair, as well as those who have been harmed by their own insurance companies. He has represented thousands who have been injured by the misconduct of others. On behalf of his clients he has collected millions of dollars from large insurance companies, major corporations, and numerous others who have caused harm to those clients.